The magical day of all things love is coming up. 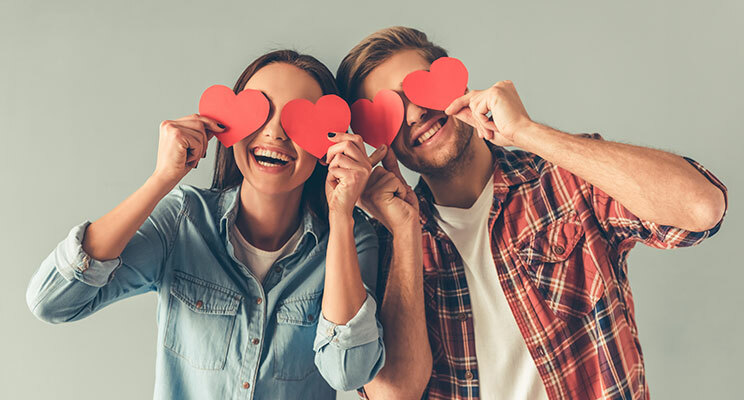 Valentine’s Day is knocking on your door again, and it’s time to think of cool gifts for your sweetheart. This is the day when steady lovers propose, and shy lovers declare themselves. On this day, the air is filled with the magic of love and people wake up to new possibilities. 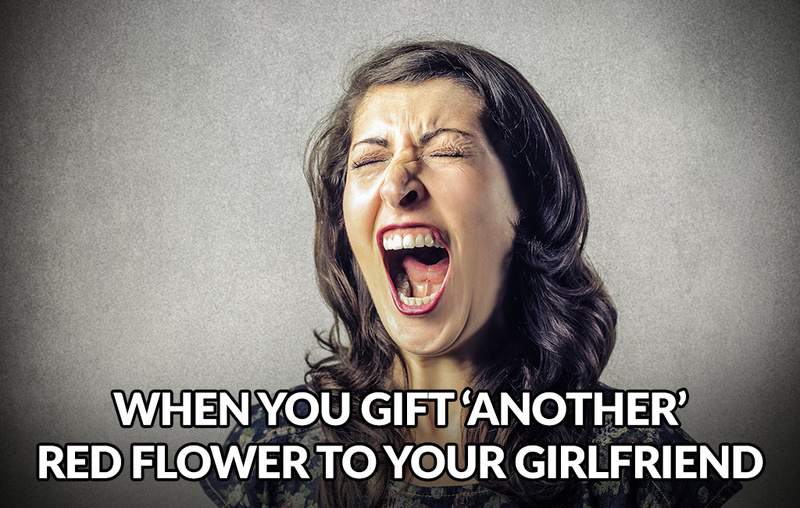 This day also brings out the pressure of gifting– what to buy for him or her? How to thrill your sweetheart with something they never expected? You’ve tried the teddy bear, flowers and chocolate route. You’ve tried the movie date route. Not all your gifts have been hits. That’s because you cannot predict your sweetheart’s needs or reaction. So yes, there’s pressure, and negative feelings if your gift is not truly appreciated. Avoid all that and Embrace the Best Valentine’s Gift! Your love is the true Valentine’s gift, but people want more. They’re tired of the usual gift choices available during Valentine’s week. They want something that they can use, cherish and treasure. You’re not psychic and you cannot tell what your lover really wants. But if you know him or her well, why not let your lover choose their own gift? Come again? It’s your gift – so how is the choice left to your lover? Your sweetheart has to accept what you buy, right? Well, yes and no. All you do is to select a gift card from a great brand and send to your lover. Your sweetheart was probably expecting the same old, same old gifts. Your gift card will be like a whammy from the blue! Now your honey can select what they want from the brand they like! There’ll be no need to pretend to like your gift and then put it away. Now your lover can look forward to hours of pleasurable shopping. With 100s of brands available, they’ll have the time of their lives choosing the perfect gift. 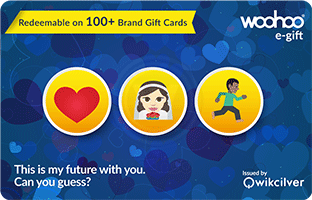 Get Quirky With Emoji E-Gift Cards! Not sure how he or she feels? Not sure if your lover knows exactly how you feel? 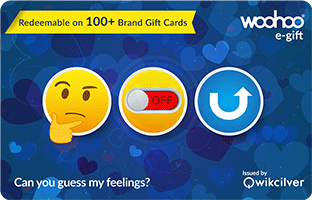 Express your feeling through a quirky Emoji e-gift card. Each card bears a series of emojis that express a message. It’s up to your lover to decrypt it! Bring some playfulness into your romance. 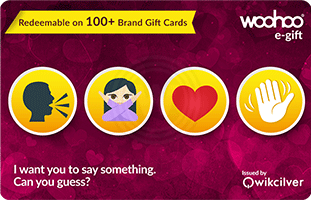 Your lover can redeem the Emoji e-gift card against any brand gift cards on Woohoo.in or Woohoo App. 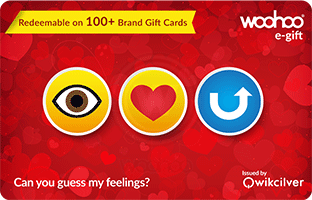 Did you know, that it takes just a few seconds for your love to get your Emoji e-gift card? How about playing a cool trick on your honey this year? Walk up to him or her waving empty hands – no Valentine’s gift. Watch the confusion, bewilderment and disappointment on his or her face. And then, quickly, send an emoji e-gift card through your phone and watch your lover’s face. What a change! Instant happiness, instant gratification. Use our quirky Emoji e-gift cards to speak your heart to your sweetheart. And, there is more. Now, get a Complimentary Woohoo Return E-Gift Card & Vajour E-Gift Card on Every Purchase of Rs.500 & Above.